Venato Extra Quartz features beautiful Gray veins that is accented with Dark Gray pools. The features make for a awesome contrast to the white background color. 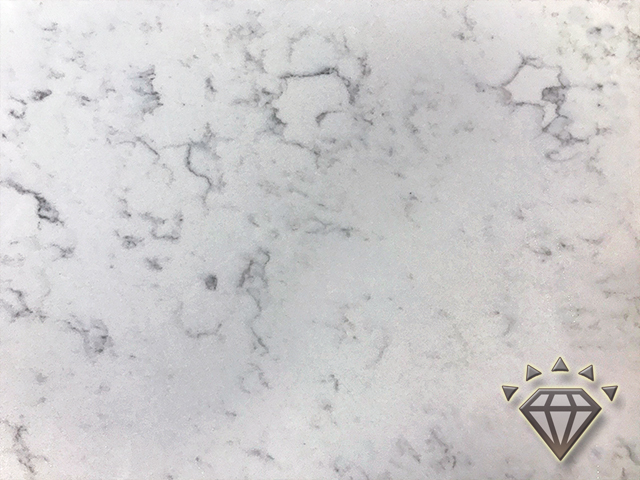 This quartz is the perfect fit for kitchen countertops due to its natural ability to withstand scratches, high temperatures and staining. These great factors are created through the manufacturing process where the final step is that the material is hermetically sealed.